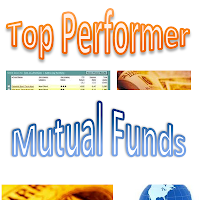 Top performing large value mutual funds January 2013 are Fairholme Fund, DFA US Large Cap Value Fund, Dodge & Cox Stock Fund, Vanguard Windsor Fund, etc. The large value mutual fund is part of domestic stock fund. This large mutual fund utilizes its assets to purchase common stocks of U.S. large companies which are considered undervalue. These undervalued companies are less expensive or growing more slowly than other large-cap companies. 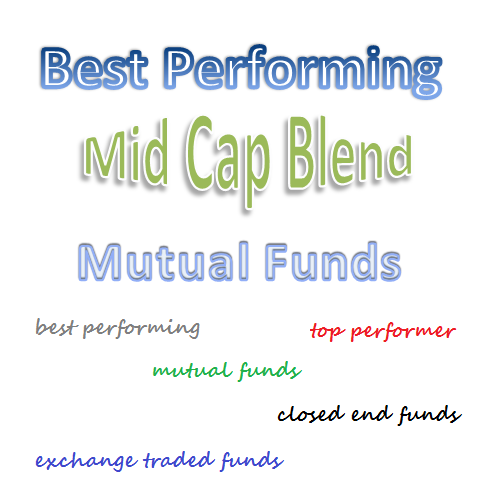 The top performing list is sorted based on its past 1 year performance up to January 2013. Investors can find the review and other fund information such as expense ratio, fund manager, yield, turnover rate, sales load, top holdings, top sectors, etc. 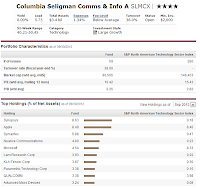 Columbia Seligman Communications & Information fund is a domestic stock mutual fund. It focuses its investment in equities of technology companies. 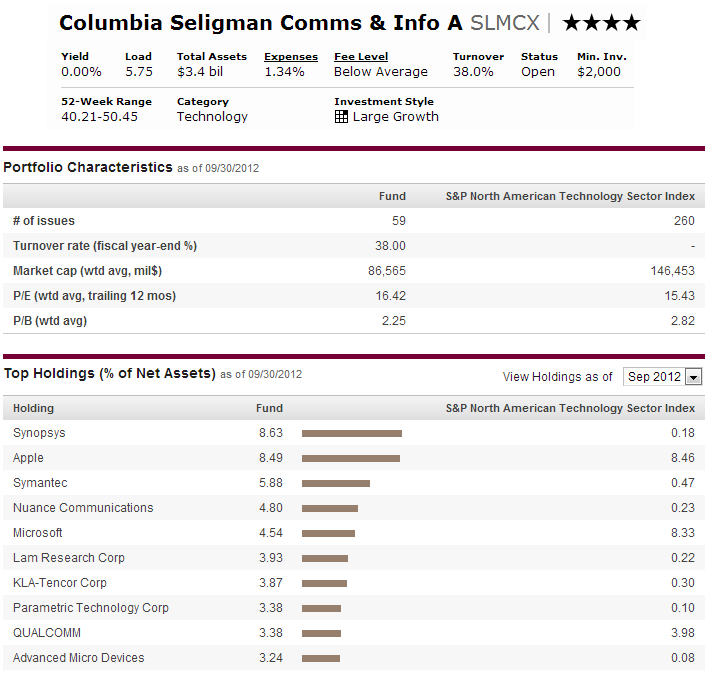 The Columbia Seligman Communications & Information fund objective is to seek capital appreciation. Under normal market conditions, the mutual fund invests majority of its net assets (>80%) in securities of companies operating in the communications, information and related industries. Accordingly, it invests in companies operating in the information technology, telecommunications sectors, and media industry. The fund may invest up to 25% of its net assets in foreign investments. 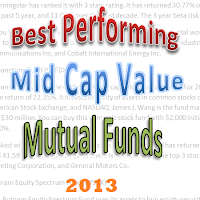 Best performing mid cap value mutual funds January 2013 are Legg Mason Cap Management Opportunity, Oceanstone Fund, Fidelity Value, etc. These mid cap value mutual funds may invest in undervalued medium size companies or a mix of small-, mid-, and large-cap value stocks. The U.S. mid cap market capitalization range falls between $1 billion-$10 billion. Value stocks mean that the stocks are less expensive than the market based on the valuation and slow growth. This top performer list is sorted based on its 1 year performance up to January 2013. You can find the fund review and information. Other data such as expense ratio, yield, management, top stocks, top sectors, sales load, and risks can be found below. 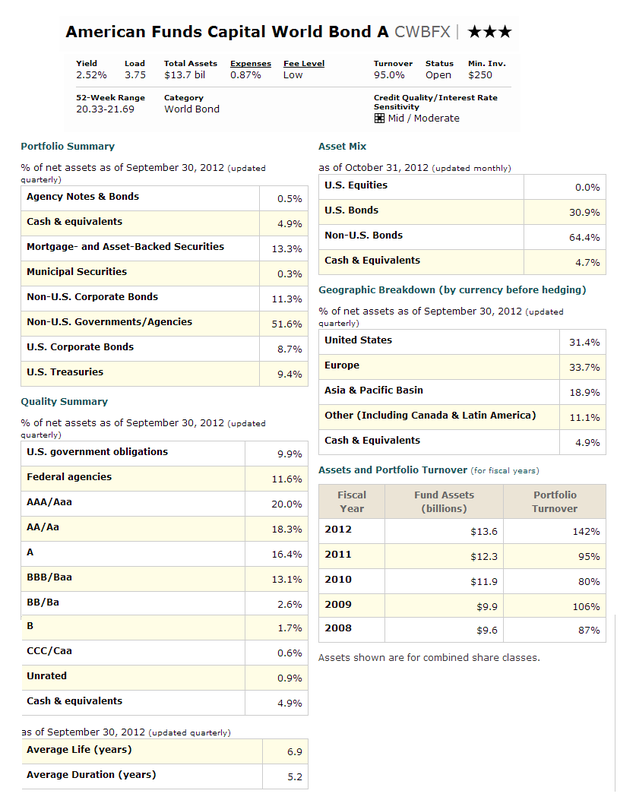 Best Fidelity mutual funds 2013; top stock, bond, balanced mutual funds by Fidelity Investments. The 26 top mutual funds 2013 include Fidelity GNMA Fund, Fidelity Capital Appreciation, Fidelity Small Cap Discovery, Fidelity Municipal Income Fund, etc. 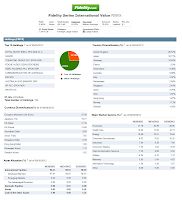 Fidelity Investments is one of the popular mutual fund providers. It has more than $1.3 trillion in assets. There are more than 430 funds to choose from. It also offers exchange traded funds, brokerage service, financial management, stocks, etc. 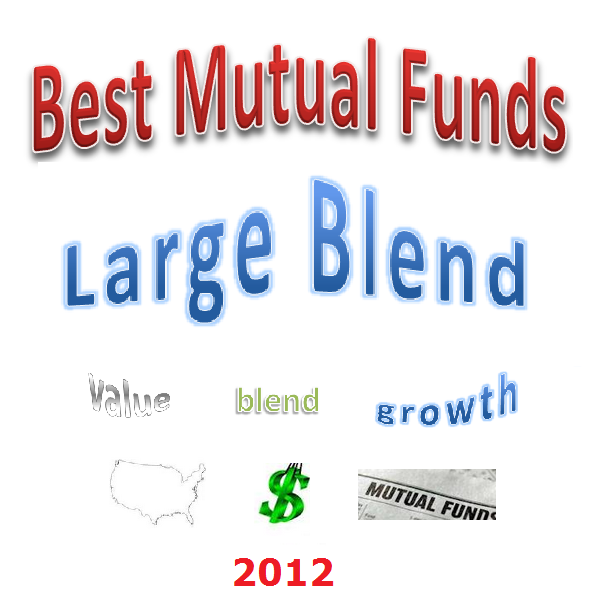 These best Fidelity mutual funds for 2013 are selected based on its performance history and transaction fee. These Fidelity fund don’t have a sales load and transaction fee. The funds are ranked with 5 star rating by Morningstar. You may find the fund review below and other fund information. You can buy these funds for your retirement account (401k or IRA) and regular brokerage account. The minimum initial investment is typically $2,500. 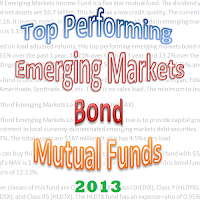 Top performing emerging markets bond mutual funds January 2013 are GMO Emerging Country Debt III, Transamerica Emerging Markets Debt fund, etc. Emerging markets bond mutual fund is part of taxable bond fund category. This fund invests mostly in foreign bonds from emerging market or developing countries. The emerging markets bond market mostly comes from Latin America, Eastern Europe, Africa, Middle East, and Asia. It provides higher yield in term of interest income for investors than typical domestic bond fund. 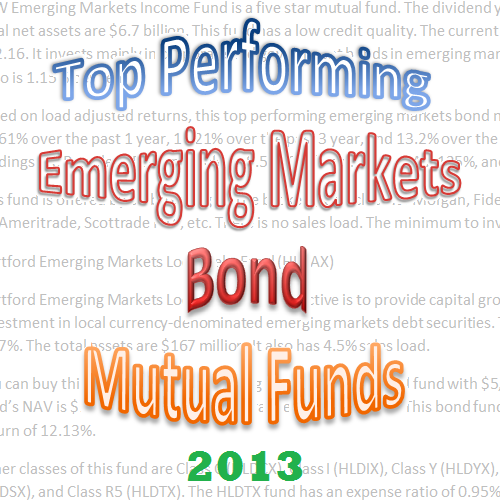 These best performing emerging markets bond mutual funds are sorted based on its performance in 2012. You can find other fund information such as objective, share price, expense ratio, sales load, Morningstar rating, top holding, maturity, etc. The 8 best mutual funds for 2013 are Vanguard Equity-Income Fund, DoubleLine Total Return Bond Fund, T. Rowe Price New Horizons, Harbor Real Return Fund, etc. To invest in mutual fund, my advice is simple. Find the no load and low expense fee mutual funds, and ignore the stock market. Also, you may need to diversify through different market sectors such as bond or stock funds. 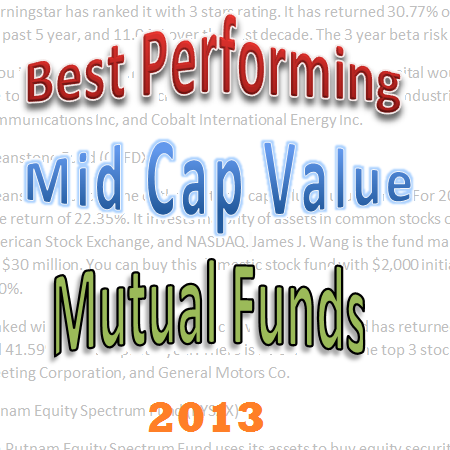 I have chosen these best mutual funds for 2013. Whether it is a bear market or bull market, these top funds should provide great return for 2013 and beyond. You can choose these best mutual funds for your brokerage account or retirement account. Some of these funds may be good retirement income source as well. The minimum requirement to invest is as little as $1,000. If you have limited funding, I would suggest investing in the balanced funds such as Mairs & Power Balanced Fund or Vanguard Target Retirement 2015 Fund. These balanced funds invest in equities, fixed income, and money market fund. 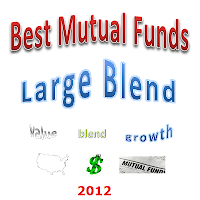 The best performing large blend mutual funds January 2013 are Smead Value fund, PIMCO Fundamental IndexPLUS TR, Janus Contrarian, Vanguard Capital Value, etc. As one of the domestic stock fund categories, large blend mutual fund invests mainly in equities of U.S. companies with large capitalization. It invests in neither growth nor value characteristics. The U.S. large-cap companies have market capitalization range more than $10 billion. It is similar to those of the S&P 500 Index. 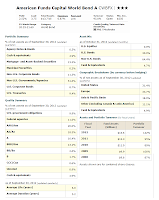 The list is compiled based on the fund performance in 2012. The top fund means it managed to rank in top 1% in this mid-cap blend category. You can find other fund information such as expense ratio, review, management, risk, top holdings, fund sector, etc. 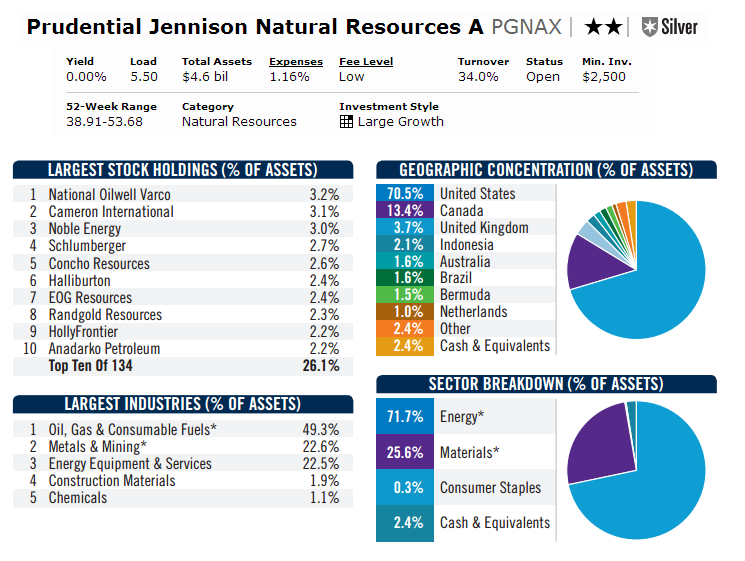 Prudential Jennison Natural Resources Fund (Ticker: PGNAX) is one of the best equity sector mutual funds. It invests mainly in stock of natural resource companies. 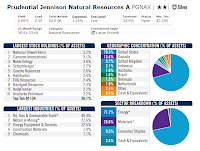 The investment objective of Prudential Jennison Natural Resources Fund is to seek long-term capital growth. The mutual fund utilizes its assets to purchase equity securities of natural resource companies and in asset-based securities. Natural resource companies are U.S. and foreign (non-U.S. based) companies that own, explore, mine, process or otherwise develop, or provide goods and services with respect to, natural resources. Asset-based securities are stocks, the values of which are related to the market value of a natural resource. It mainly invests in common stocks. It is non-diversified. 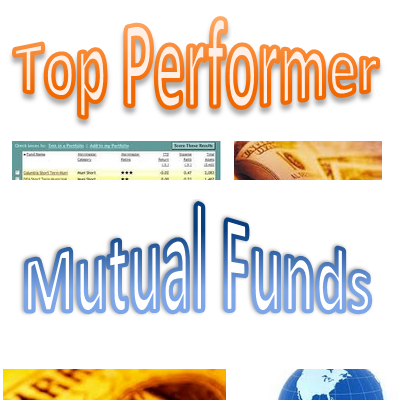 Top performing bank loan mutual funds January 2013 are Pyxis Floating Rate Opportunities fund, ING Senior Income fund, Invesco Senior Loan A, etc. A bank loan mutual fund is one of the taxable bond mutual fund categories. This bank loan fund utilizes its assets to purchase a floating-rate bank loans instead of bonds. This bond fund provides high interest income for investors. It does have a higher investment risk than typical short term bond fund. 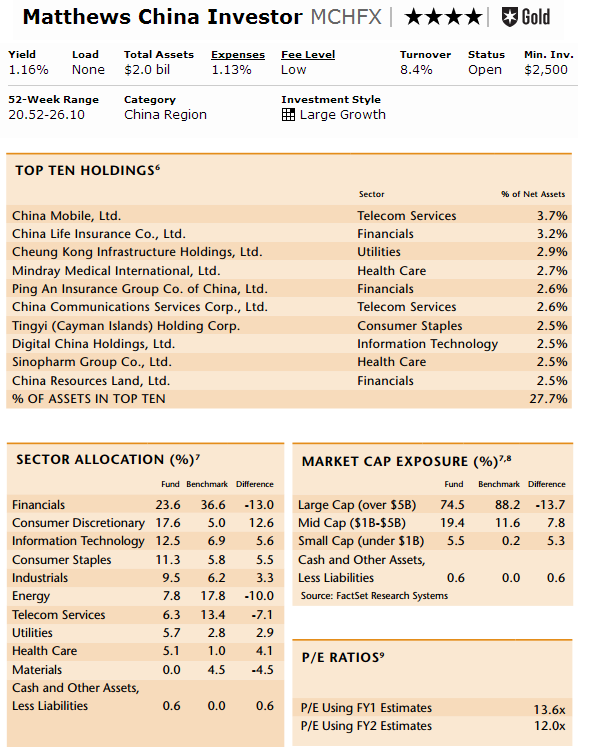 The list is sorted based on the funds’ YTD performance in 2012. You can find fund review and information in this article. Other information such as expense ratio, management, top holdings, top sector, sales load, and shares price can be found as well. 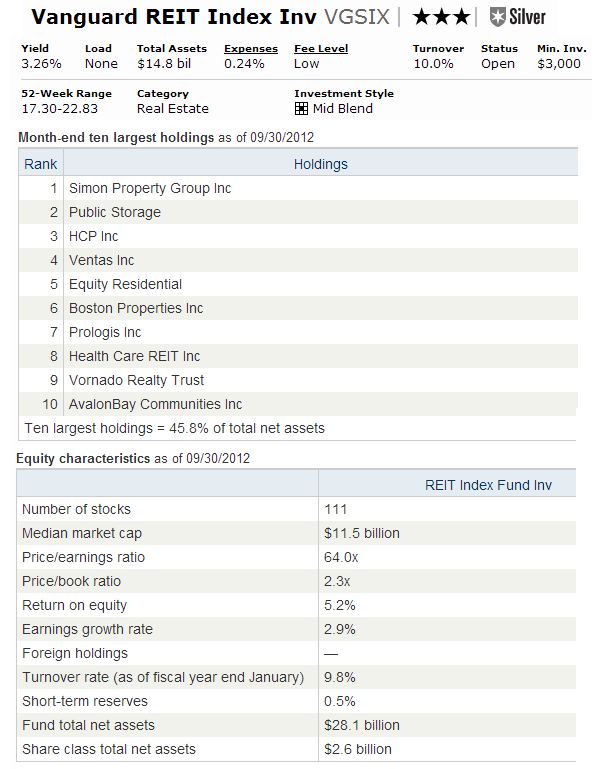 Vanguard REIT Index Fund (Ticker: VGSIX) is a real estate mutual fund. This sector fund focuses its investment in stock of real estate companies. You can find the fund review below. The investment aim of Vanguard REIT Index Fund is to provide a high level of income and moderate long-term capital appreciation. It tracks the performance of the publicly traded equity REITs index, the MSCI US REIT Index. The fund will replicate the index by investing all, or majority, of its assets in the stocks that make up the index. The fund may hold each stock in approximately the same proportion as its weighting in the index. The top performing world stock mutual funds January 2013 are Artisan Global Equity fund, Third Avenue Value fund, Wasatch Global Opportunities, etc. World stock mutual funds invest mainly in equities of companies around the world. The fund invests mostly in companies located in developed countries such as U.S., German, United Kingdom, Japan, Spain, Italy, France, Switzerland, etc. It may invest in other globe’s smaller markets including emerging markets, and developing countries. 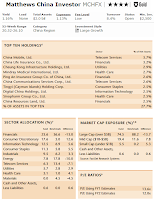 The top performing list is sorted based on its YTD performance in 2012. Investors can find the review and other fund information such as expense ratio, fund manager, yield, turnover rate, sales load, top holdings, top sectors, etc. Matthews China Fund (Ticker: MCHFX) is an international stock mutual fund. The mutual fund focuses its investment in Chinese and Taiwanese companies. The investment objective of Matthews China Fund is to seek long-term capital appreciation. The fund utilizes its assets to buy the common and preferred stocks of companies located in China and Taiwan. It seeks to invest in companies capable of sustainable growth based on the fundamental characteristics of those companies. The current shares price is $23.05. 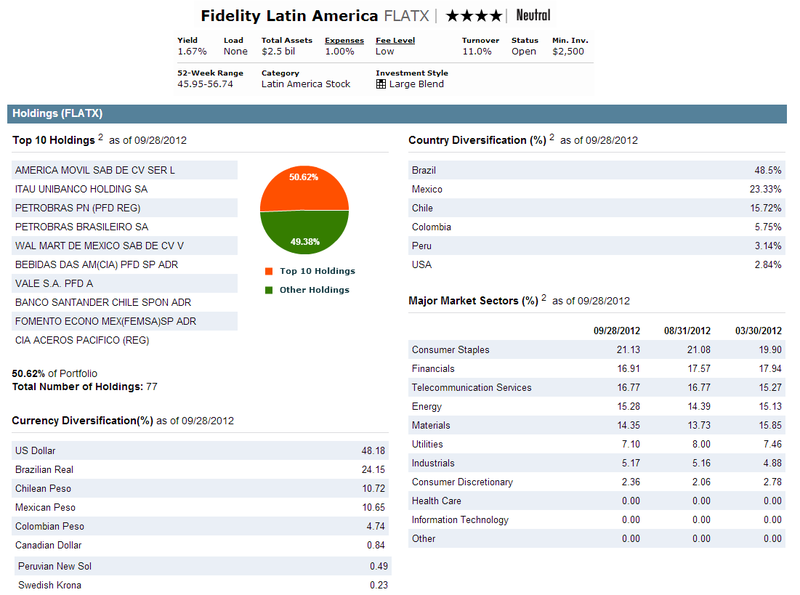 Fidelity Latin America Fund (Ticker: FLATX) is a popular international stock. This equity mutual fund focuses on investing in equities of companies located in Latin America. The investment objective of Fidelity Latin America Fund is to provide long-term growth of capital. The fund invests >80% of assets in securities of Latin American issuers and other investments that are economically related to Latin America. It typically invests in common stocks and allocates investment across different Latin American countries. It uses fundamental analysis of factors such as each company’s financial condition and industry position, as well as market and economic conditions to select investments. The fund is non-diversified. The top performer inflation protected bond mutual funds January 2013 are PIMCO Real Return Asset Fund, GMO Inflation Indexed Plus Bond III, Lord Abbett Inflation Focused A, etc. The inflation protected bond mutual funds invest mainly in bonds that adjust their principal values in line with the inflation rate. Most of the inflation protected bonds are issued by U.S. Treasury. Some other foreign governments have issued inflation protected bonds as well. Investor may receive an interest income from this mutual fund. You can find this top performer list is sorted based on its performance in 2012. You may find the fund review information such as expense ratio, turnover rate, dividend yield, average maturity, management, fund’s NAV, etc. Franklin Utilities Fund (Ticker: FKUTX) is a U.S. domestic stock mutual fund. This equity sector fund focuses its investment in public utilities companies. The investment objective of Franklin Utilities Fund is to seek capital appreciation and current income. The mutual fund typically invests >80% of its net assets in the securities of public utilities companies. These are companies that provide electricity, natural gas, water and communications services to the public and companies that provide services to public utilities companies. It may concentrate in companies operating in the utilities industry, especially their common stocks. 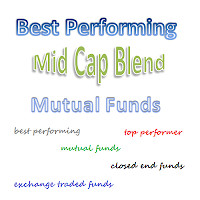 The top performing mid cap blend mutual funds January 2013 are Keeley Small-Mid Cap Value fund, Fidelity Leveraged Company Stock, Gabelli Focus Five, etc. As one of domestic stock fund categories, mid cap blend portfolio invests in U.S. companies stocks with various sizes and styles. It invests in growth and value equities or mix of them. The U.S. mid-cap companies have market capitalization range between $1 billion-$10 billion. These funds currently represent 20% of total capitalization of the U.S. equity market. 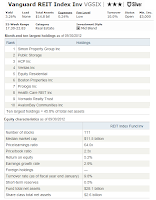 The list is compiled based on the fund performance in 2012. The top fund means it managed to rank in top 1% in this mid-cap blend category. You can find other fund information such as review, expense ratio, management, risk, top holdings, fund sector, etc. American Funds Capital World Bond Fund (CWBFX) is a taxable bond mutual fund. It focuses on corporate and government bonds around the world including emerging markets. The investment aim of American Funds Capital World Bond Fund is to achieve a high level of total return. The mutual fund invests majority of its assets in debt securities of governmental, supranational and corporate issuers denominated in various currencies, including U.S. dollars. The fund may invest substantially in emerging market and developing countries bonds. It may also invest < 25% of its assets in lower quality, higher yielding debt securities. The fund is non-diversified. The 10 best performing world bond mutual funds December 2012 are Chou Income fund, Templeton Global Total Return fund, Matthews Asia Strategic Income Fund, etc. World bond mutual fund utilizes its assets to purchase investment grade foreign debt securities and U.S. It may invest in lower quality bonds from developed and emerging markets countries. This fixed income mutual fund provides higher income to investors. 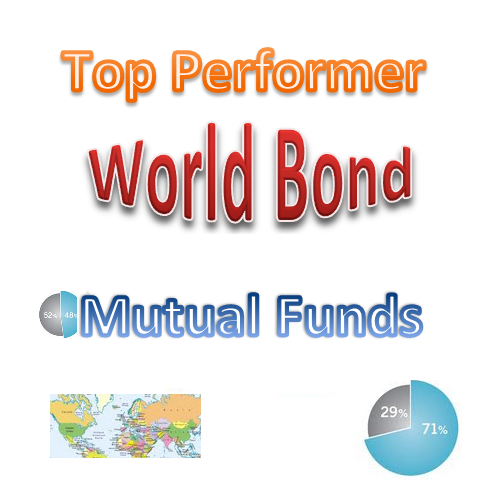 This top performer bond mutual fund list is sorted based on its performance in 2012 up to December 31st. You can find the fund review, expense ratio, yield, ranking, share price, management, top holdings, credit rating, etc. 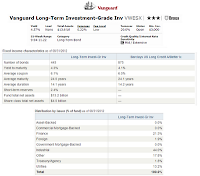 Vanguard Long-Term Investment-Grade Fund (VWESX) is a popular taxable bond mutual fund. It invests in long term bonds such as corporate or government. It provides higher yield as well. 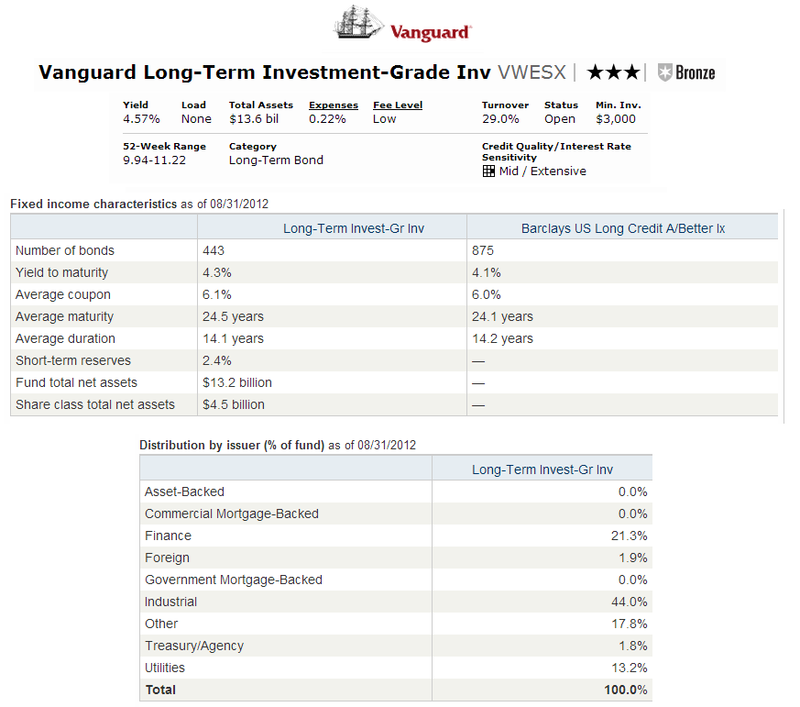 The Vanguard Long-Term Investment-Grade fund aim is to seek a high and sustainable level of current income. The mutual fund uses its assets to purchase a variety of high-quality and medium-quality fixed income securities. It invests mainly in intermediate- and long-term investment-grade bonds. These high-quality fixed incomes are rated A3 or better by Moody’s Investors Service; medium-quality fixed income securities are those rated the equivalent of Baa1, Baa2, or Baa3. 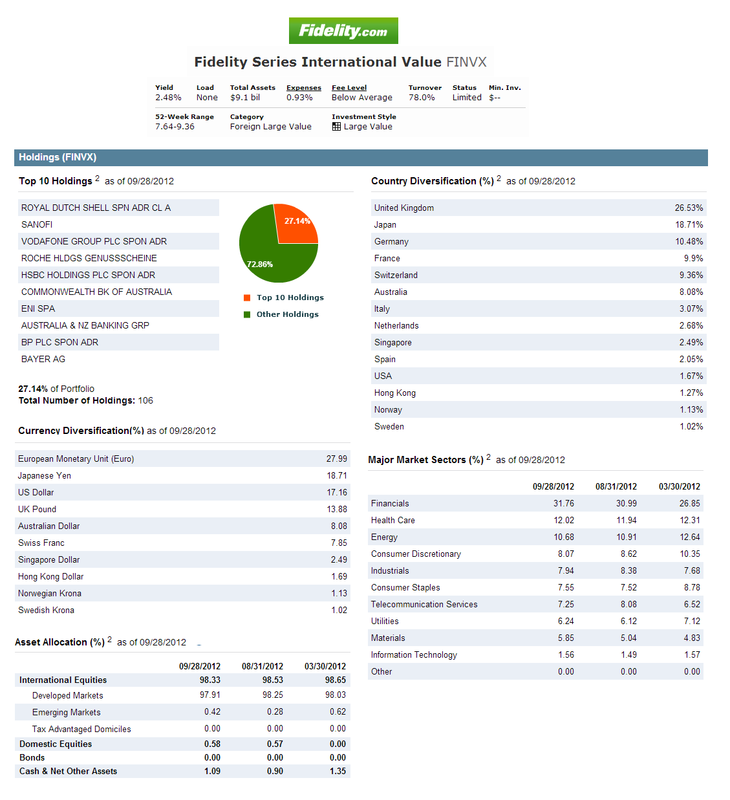 Fidelity Series International Value Fund (Ticker: FINVX) is an international stock mutual fund. It focuses its assets in non-U.S. companies including emerging markets. It provides diversification opportunity. The Fidelity Series International Value Fund investment aim is to seek capital appreciation. The mutual fund invests mainly in non-U.S. securities especially in common stocks, including securities of issuers located in emerging markets. The fund invests in securities of companies that are undervalued in the marketplace in relation to factors such as assets, sales, earnings, growth potential, or cash flow, or in relation to securities of other companies in the same industry. It allocates investments across different countries and regions and uses fundamental analysis of factors.